WARSAW, Poland (AP) — The winner of the world’s 1st Chopin competition on historic pianos says the search for the original sound restores the appeal of classical music and helps artists understand the composer’s intentions. 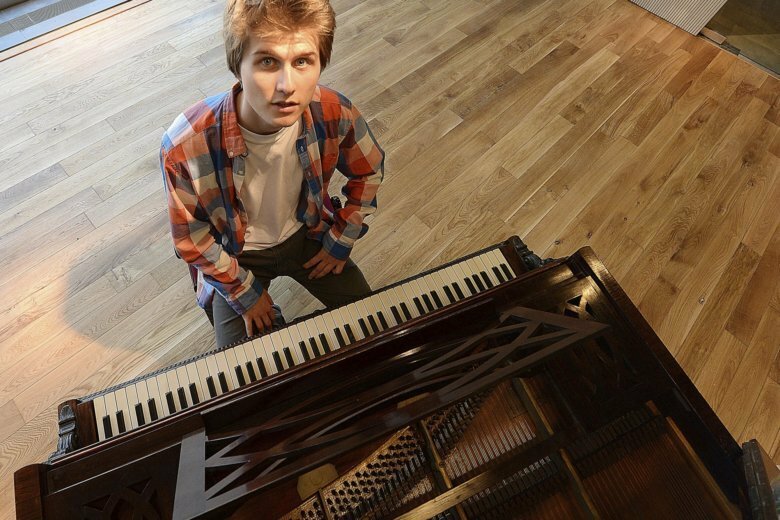 The 23-year-old student from the Moscow State Conservatory earned top notes from the international jury in all three stages of the contest, despite fighting severe pain in his arms and shoulders that hit two weeks before the competition and forced him to go on painkillers and seek out physical therapy. Ritter’s eyes lit up Friday as he explained to The Associated Press that historic pianos, which are smaller and more delicate than modern ones, require a light touch but render a nuanced sound and melody that better reflects the notes written by Poland’s best loved 19th-century romantic composer. Because different sections on historic keyboards have different sounds, piano players can easier understand the composer’s intentions. “These instruments help you read the composer’s text,” said Ritter, who has studied piano since the age of 7, including historical pianos and harpsicord. Chopin was born in 1810 in Zelazowa Wola near Warsaw, to a Polish mother and a French father. He received his music education in Warsaw and started composing and giving concerts there. At 20 he left Poland and settled in Paris, then Europe’s center of art and music. He composed chiefly for the piano and much of his work was inspired by Poland’s music, such as the polonaise and the mazurka dances. His works require great skills that should serve a singing rendition of the music, Ritter said. Ritter, a native of Lublin in eastern Poland, said his physical pain and discomfort vanished as he concentrated on stage and “heard nothing, saw nothing and felt nothing else” than his own performance. His musicality was revealed when, as a small child, he would burst into tears on hearing some minor-key, sad-sounding Christmas carols, which were subsequently banned from the family’s repertory, Ritter said. As a result of the win, Ritter’s calendar has filled up. Upcoming performances include Brussels in November and Tokyo and Osaka in June, places that he is “very happy” about. After the interview, he said he was going to the airport to indulge in one of his favorite hobbies: spotting planes. The next Chopin contest on historical instruments will be in 2023. “This competition departs from set habits, from stereotypes,” Ritter said.